Our memories are short. We take for granted the Internet, emails and blogs - but these things are still quite new. So much of what we read today about computer technology is slanted in the form of hype, written by journalists and company advertisers. I really enjoyed this book, because it is history book, giving a proper perspective of the development of computers and the industry as a whole. What is particularly interesting is how the driving force behind computer innovations has changed. Originally, computers were invented as a means to solve ballistics equations. Then IBM took control of the industry changing the driving force into business applications. Today, a significant portion of computer usage is for communication and entertainment purposes. I highly recommend this book, because it gives the reader a proper perspective of where all this stuff came from. Today we look back with 20/20 vision, as though the inventors of computers had a clear plan - but that wasn't the case. Computers evolved, based on many tried and failed attempts. These comments are based on the 1st edition, published in 1996. This book is an excellent overview of the history of the computer, from its precursors, to its invention, to the first personal computers, and to the inception of the World Wide Web upon the backbone of the Internet. It is an overview, a first look: not in any sense whatsoever is it a detailed study of the development of the computer. It is a comfortable place to begin and does not pretend to be anything else. Campbell-Kelly and Aspray tackled an impossible problem and they did a credible job. 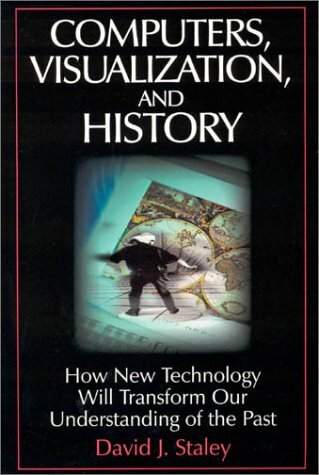 They wrote a readable historic narrative spanning more than 100 years, including the major developments leading to the creation of the first programmable electronic computers in the mid 20th century and the subsequent 50 years of development leading to personal computers and the Internet explosion. This book capably captures much of the flavor of the developing industry and it's not as dry as one Amazon reviewer might have you think. It isn't larded with a ton of esoteric technical specifications that merely bore the casual reader. I read the first edition and it contained a few blatant technical errors. Mistaking the 32-bit Motorola 68000 microprocessor, circa 1979, for the 8-bit Motorola 6800 microprocessor, circa 1975, and misidentifying the 6502 microprocessor vendor MOS Technology as MOSTEK (two completely different companies) are two errors that I recall seeing. I hope these errors are corrected in the newer second edition. On the whole, I liked this historical overview very much. Note that this books serves as an excellent handbook and guide to the computers and other artifacts on display at the Computer History Museum in Mountain View, California. Although the book was written before the current museum was established, its chapters closely parallel the historic timeline formed by the museum's aisles of computing artifacts, from the early mechanical calculators and punched-card machines through ENIAC, SAGE, and onwards to the personal computer. Many of the developments discussed in the book, spanning hundreds of years of work, are on display in the museum. 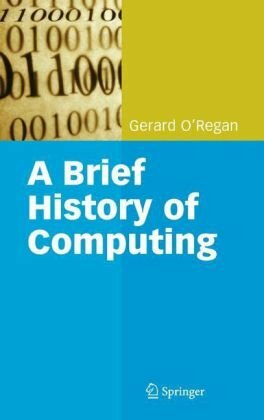 This book is a very well-written history of the essential phases of how computing and computers developed into what dominates today. It shows not only the "Museum" aspects of the inventions but gives also good deal of information about the settings of the situations in which the developments took place. It's a great book for it's price. Really great photos that lie somewhere between technical and art. There is text but not too much. If you are looking for a complete history this would not be it. The book is very pretty, and has some *outstanding* photographs of classic machines.If only the selection of machines and printing (at least on my copy) matched the quality of the photos, this would be on my "must by" list. Newer photo-books like this rely on some special printing techniques to make their images stand out, such as printing a glossy image, with the non-printed portion paper treated to make it flat and bright white.It makes for a stunning presentation when it is done properly. My book has several pages where the glossy images are scratched, and others where the pages are covered with scratches and dirt.I don't know if my pages sat on the top of a pallet or the presses were just dirty, but it clearly happened before binding, as in some cases, page 64 on the left hand side is very dirty, page 65 on the right is totally clean. The beautiful dust jacket is also badly scuffed up--a book like this should have been shrink wrapped--and the cover dinged.This Chinese-printed book would have been considered a "hurt" at my local press. On this sort of book, that totally shatters the beauty of it all, and I think I will end up returning it.I considered asking for a replacement, but I am further disappointed by the selection of machines. There are major companies of the era not even represented here.Not a single Data General machine...I would have expected the "70's photogenic" Nova, or a later machine like a S/150.No Burroughs, no DEC-20...the entire history of DEC reduced to two photos and one closeup of a pdp8 and a glimpse of the boot console panel from a DEC-10. VAX?What's a VAX?No mention of a VAX here, but the TRS-80 I and 100 get four pages.I *loved* my Model 100, but this is not the place for it. 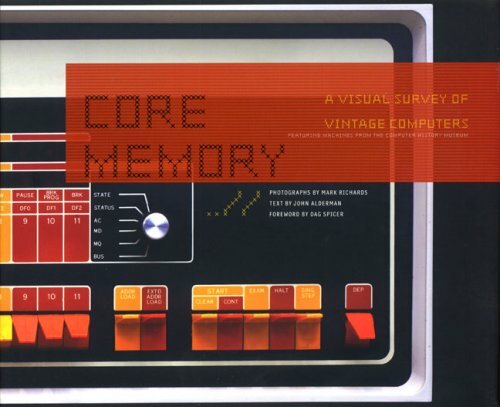 With a title like "core memory" and a pdp8 on the cover, I expected more early machines, yet the book dedicates six pages to the Apple I/II and four to the Commodore 64. There is more coverage of the Commodore 64 PC than the entire history of Digital Equipment Corporation.Control Data is limited to a photo of the CDC6600 console, a photo of backplane wiring and two images of a boot switch panel. Home PC's should really be their own book.But if they wanted to cover home PCs up to 1983, they should have hit "visually iconic" machines like the IMSAI or the Ohio Scientific PCs.How about some classic rare peripherals; the Atari 815 dual disk drive is a 9x9x12" box with nine LEDs in three colors, surely some unique peripherals like this deserve inclusion more than a two-page closeup of the Commodore 64's keyboard. Now, I would like to mention the wonderful photos of SAGE and Johnniac.Had it not been that the photo of the SAGE light gun was covered with scratches, I would have kept it for SAGE alone.But as I said, in a photo book, damaged photos ruin the whole point. I spotted a few factual errors and typos in my quick scan of the book, but the major errors are really errors of omission. Conclusion: If yours is printed correctly and clean, it is a beautiful book and a bargain at the Amazon sale price.But if you are expecting a book primarily about machines running core memory, or minicomputers/mainframes from the 1970s as would be inferred from the cover and the name, you will be disappointed.I am. A book such as this; holds my attention and shows what others have helped create in science labs, garages or universities-with a stunning pictorial collection of rare vintage computers. The Allies bombed the 1941 German 'Z3' computer (with a memory of 63 words!) in 1944 Berlin, the world's FIRST programmable electromagnetic computer ...has been beautifully re-imaged for this collection of vintage computers. Full Page Color Photos. Indexed well. The 1954 Johnniac, the Univac 1 of 1951(with it's 20K memory in a mercury delay line), the NEAC of 1960 (Nippon Electric Company NEC); the Philco 212 of 1962, the Illiac of 1975 or the Osborne 1 of 1981. The Cray 1 of 1976 had memory of 4MW Semiconductor and speed of 160 MFlops; compared to the 1993 Cray 3 with it's 2GW Semiconductor of memory and speed of 15Gflops! Stunning large format, but not too large-158 Pages. Tech notes are narrative -not overly burdensome. You will recognize the photos from computers on TV, your high school lab, or your first office job. (Make, Year Created, Make, Cost, Memory on each page with space under each subtitle for comparisons)... minimized story and notes. Best shots of early Apple computers I have ever seen. The Commodore 64 of 1982 with its 64k and rare beauties (they really are ART) like the Kitchen Computer (Honeywell H316 MiniComputer of 1969 for $10, 600. The ad copy ran in '62, "...if only she can cook as well as Honeywell can compute." It was certainly modish and came with a 2 week programming course. It was laughable. Despite some thought have gone into the facade, the interface was simply lights and switches-good for setting the mood for a "Lost In Space" style TV dinner but not for a newbie programmer or cook. I must admit, the 1962 Minuteman 1 Guidance Computer that would navigate ICBM Nukes from underground missile silos to find it's 'destination' even when the atmosphere through which it is flying has been disrupted by atomic explosions, 'quite scary', the book seems to have the Google view of "Do No Evil" with its tight ad control. Take a look at the: Google First Production Server in 1996 with its 128k of Ram. This book will impress your friends, and teach your kids. I once asked my friend who worked as a gifted engineer for Hughes, as well as being present at Cape Kennedy-what type of computers were aboard the Apollo space missions? Well, now I have a clear answer. In 1965 -The Apollo Guidance Computer by MIT/Ratheon. The extreme close up color photos--> enlarged to full page size flow with all of the "vintage computers" -the detail and clarity with abit of the old understanding. This computer used: the newly developed 'integrated circuit' (IC) which was small and light weight. MIT went with just one type of chip, although it used 5,000 of them. Memory? 4K of Ram, 24K from core rope. The chip would later power, 'calculators' like the HP-35 by the millions. This is just a small sample of the book contents. I have waited since seeing data processing computers in Grade 9 of high school-to all those blinking lights on my childhood television programs, wondering what was a computer really good for....or who made them, and what did they really look like? This book is exactly what I hoped for. I bought it as a Christmas gift for a friend who appreciates things that are vintage and a little odd. The photos are huge and of great quality. It looks like they found the cleanest, best kept examples of each machine. Didn't have a chance to read the text, but the pictures alone were enough to make it worthwhile. Mixed feelings about this book, but I am glad I own it. The book is a great overview of the history of commerical/military computer development in the last 60+ years.Hits most of the major models, and mentions why they're in the book.Each one was a special devleopment in it's time for one reason or another. But after reading it, I wish it was about 2x the size, physically.It's a large book alredy, but it should be art-sized.And it could EASILY be several hundreds of pages.I know it's more of an overview book, but it would be great if each model had it's own chapter, including design diagrams, pictures of the installations, programmers, builders, etc. Recently I finished a story on pop culture and technology. I discussed how the transitor became lineage for the present day computer chip.I am fascinated with technology and history which made me love reading this book. The book presents a timeline for computer technology and yes, I admit, I am a computer geek who reminisce in technology of the past.I sit back remembering when I won my very first transitor radio and I smile thinking about my old 286 computer chip. The book was an interesting read because it took me on a trip to my past. I still marval at how technology changes and how much I use it today. Basically a book written for someone knowing little about computers. It teaches both the history of computing and also the key ideas present in today's computers. So the authors describe the fumbling early starts. Exemplified by Babbage and Lovelace and the Difference Engine. Over a century ahead of their time, as the hardware was inadequate. But in World War 2 came the von Neumann architecture, still the basis of most current computers. And then the solid state transistor at Bell Labs in 1948. Progress seemed so slow, in retrospect. But then the narrative speeds up, as Moore's Law took effect in the late 60s. Thus, the book shows the rise of the personal computer in the 80s, and then the Web in the 90s. Searing changes that helped shape today's world. Swedin's coverage has no surprises to a reader already in this field. But he has done his homework. It's accurate and covers all the main events and persons. 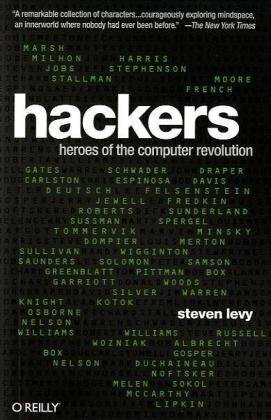 This 25th anniversary edition of Steven Levy's classic book traces the exploits of the computer revolution's original hackers -- those brilliant and eccentric nerds from the late 1950s through the early '80s who took risks, bent the rules, and pushed the world in a radical new direction. With updated material from noteworthy hackers such as Bill Gates, Mark Zukerberg, Richard Stallman, and Steve Wozniak, Hackers is a fascinating story that begins in early computer research labs and leads to the first home computers. When I began researching Hackers--so many years ago that it’s scary--I thought I’d largely be chronicling the foibles of a sociologically weird cohort who escaped normal human interaction by retreating to the sterile confines of computers labs. Instead, I discovered a fascinating, funny cohort who wound up transforming human interaction, spreading a culture that affects our views about everything from politics to entertainment to business. The stories of those amazing people and what they did is the backbone of Hackers: Heroes of the Computer Revolution. This idea came under stress with the advent of personal computers.The Homebrew Club was made of fanatic engineers, along with a few social activists who were thrilled at the democratic possibilities of PCs. The first home computer they could get their hands on was 1975’s Altair, which came in a kit that required a fairly hairy assembly process. (Its inventor was Ed Roberts, an underappreciated pioneer who died earlier this year.) No software came with it.So it was a big deal when 19-year-old Harvard undergrad Bill Gates and his partner Paul Allen wrote a BASIC computer language for it. The Homebrew people were delighted with Altair BASIC, but unhappy that Gates and Allen charged real money for it. Some Homebrew people felt that their need for it outweighed their ability to pay. And after one of them got hold of a “borrowed” tape with the program, he showed up at a meeting with a box of copies (because it is so easy to make perfect copies in the digital age), and proceeded to distribute them to anyone who wanted one, gratis. This didn’t sit well with Bill Gates, who wrote what was to become a famous “Letter to Hobbyists,” basically accusing them of stealing his property. It was the computer-age equivalent to Luther posting the Ninety-Five Theses on the Castle Church. Gate’s complaints would reverberate well into the Internet age, and variations on the controversy persist. Years later, when another undergrad named Shawn Fanning wrote a program called Napster that kicked off massive piracy of song files over the Internet, we saw a bloodier replay of the flap. Today, issues of cost, copying and control still rage--note Viacom’s continuing lawsuit against YouTube and Google.And in my own business—journalism--availability of free news is threatening more traditional, expensive new-gathering. Related issues that also spring from controversies in Hackers are debates over the “walled gardens” of Facebook and Apple’s iPad. So Amazon.com readers, it’s up to you. Those who have not read Hackers,, have fun and be amazed at the tales of those who changed the world and had a hell of time doing it. Those who have previously read and loved Hackers, replace your beat-up copies, or the ones you loaned out and never got back, with this beautiful 25th Anniversary Edition from O’Reilly with new material about my subsequent visits with Gates, Stallman, and younger hacker figures like Mark Zuckerberg of Facebook. If you don’t I may have to buy a scissors--and the next bad haircut could be yours! I recently finished reading the Soul of a New Machine which I really enjoyed and overall enjoy these types of history of computing types of books. This takes the next step forward from Soul as that was focused primarily on shipping out one machine this focus on three distinct different eras of computing, both the people who used and the machines. Overall I really enjoyed this book as an IT professional as it is the single best location of the history of computing. Other reviews go into much greater detail of the time periods and the technology so I wont repeat it here. I'm more echoing what others have said. If this book does sound interesting then I recommend you purchase it without hesitation. You will thoroughly enjoy it. I just wish there was more to it. This was with me from the start! I read this book when it came out the first time.I was getting ready to my first job as an engineer in Boston during the boom-boom years of hi tech.This book got me really excited about what lay ahead and I wasn't let down a bit.I highly recommend this book to anyone interested in history or the tech culture.I also recommend the book, "Soul of a New Machine" by Tracy Kidder. Hackers is an absolutely fascinating look at the history of not just computing, but those who made it all happen: the curious college kids of MIT and those who came after who saw computers as more than just computational devices. Levy weaves an amazing tale of geeks with a passion for using computers as a more than just tools; these kids (and some of them were quite young) fostered a community of information sharing to further the goal of the "hacker ethic." Information should be free and be used to better the individual and improve the use of computers. Levy skillfully moves from MIT and the east coast, to the next generation of wonderkids in the Berkeley area, where computer technology was first used as an attempt to improve society. As more and more users wished to build their own hardware, Homebrew was formed to aid those in that goal. Homebrew helped launch the most influential wave of personal computing, and resulted in such greats as Woz's Apple computer. Also from this era is the conflict of software (or information) with the hacker ethic. Bill Gates's infamous letter against copying software ushered in a new area of for-profit hacking. 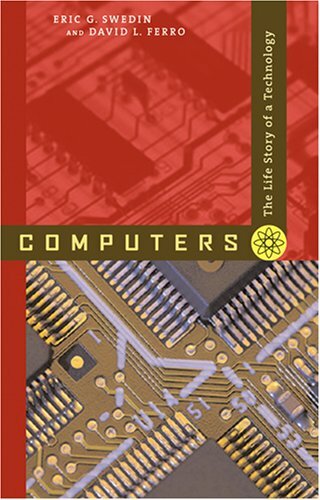 The final portion of the book focuses on computers as forms of personal entertainment, specifically as machines upon which we can play games, and Levy focuses on Sierra On-Line, a once rapidly growing and equally exploding powerhouse in early computer gaming. Here Levy is at his weakest. He fails to delve into coin-op gaming and console gaming as important factors in the drive to bring gaming deeper into the home via computers. Another failure on Levy's part is, as this is the 25th anniversary edition, a discussion of the open source movement, a direct descendant of the hacker ethic. Had Levy discussed that, his excellent book would have made a wonderful, complete, up-to-date circle. I love this book, and would normally give it five-stars, but I am very disappointed that the table of contents is completely messed up on the Kindle--it only displays one or two lines per page, which makes it unusable. Considering how this edition of the book is being marketed as eBook friendly, it seems like someone at the publishing company would have caught this problem since the formatting errors are visible as soon as the book is opened for the first time. The Computer traces the evolution of this vital machine from its earliest roots through its exciting application in code-breaking during the Second World War, and from its initial use in the workplace and home to its current status as a totally indispensable part of twenty-first century life. Along the way the author examines some colorful moments in the computer's development, from the key battle between Apple and IBM in the 1980s, to the use of computers in film and television such as the 1950s film The Forbidden Planet. The speed at which computer technology is progressing is staggering, and the final chapter looks forward to a time when computers will be on our wrists, in our cars ? and possibly in our bodies. When I first opened the package that contained this book, I was absolutely amazed. I knew the book would be fairly big and that it was a hardcover. I knew it was about computers. I didn't expect it to be so artfully done. The cover is immediately striking and at about 4 lbs., this is a lot of book! The Computer is an overview of the history of computing, from tabulation sticks which appeared 35,000 years ago straight through to a few years in the future. 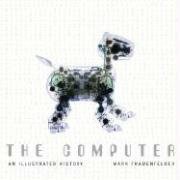 Mark Frauenfelder has compiled a massive collection of interesting pictures, wonderful historical tidbits and a solid background in what makes computers what they are - from ancient, gear driven devices to the dense microprocessors of today. The Computer is comprised of a four page introduction and 10 chapters, concluding with an index. Digital Dawn looks at the rise of computation, from ancient man to the counting machines of the 19th century. Machines Learn to Remember looks at the genesis of computer memory, from external devices to punch cards. Sparks of an Idea shows the beginning of vacuum tube technology, IBM and other binary processors. Computers go to War looks at the Enigma Machine, Turing and others who helped to break codes, guide artillery and eventually track satellites. Getting Down to Business starts with the invention of the transistor and ends with the first commercial leases of computers to corporations. Getting Personal, as you might guess, covers the birth of the personal computer. The electronics clubs of the late 60's and early 70's give way to Xerox fumbling the ball which Apple and later Microsoft picked up and ran with. Game On traces the history of computer gaming from the earliest mainframe games to home gaming consoles and persistent, massive multiplayer role playing games. Jacking In brings us through the birth of the Internet and the World Wide Web with stops for email and cybersex. Also featured are a few other start ups you may have heard about, from Linux to Google. Let me Entertain You shows us the computer's effect on the silver screen - for better and for worse, as well as the rise of the digital music player and peer to peer sharing. The World of Tomorrow looks towards the future, focusing on robotics, personal computing shrinking to wearable levels and of course, nanotech. This book is the kind of book I love to get my hands on. Give me a good technology book or a good history book and I'm happy. Chock it full of amazing and hard to find pictures, bits of trivia and quotes from the great minds featured in the book and I'm in heaven. Even though this book is heavy, I took it to bed with me the first night I had gotten it just to finish it. My arms were tired but my mind was happy by the time I finally hit the index, sometime early yesterday morning. The early mechanical computation devices are fascinating to look at, whether in plans like Davinci's or constructed like Babbage's machines, they invoke a sort of post-modern, steam punk feel. Except these were the real deal and not a SciFi author's fancy. I was fascinated pouring over the pictures and descriptions of differential machines and tabulators. I really perked up however once the book hit the early 40's. Seeing over the course of a few hours reading how technology changed so rapidly over such a short amount of time - pretty much from the day my Dad was born until this moment, it's amazing. In less than one lifetime we've gone from clunky, vacuum tube driven behemoths to the razor sharp, tiny computers of today. If you've read any of my previous thoughts on where we're headed, you'll know I think that this is just the beginning! To see this all in detailed photos and descriptions. To live through the heady days of Apple, Atari, IBM PCs and Microsoft once again is very cool. It's easy to tell that Frauenfelder loves this stuff even more than I do. He's put a lot of time and effort into crafting a book that I'm eagerly putting on my coffee table. I know that my friends and colleagues will head right for it when they come over! 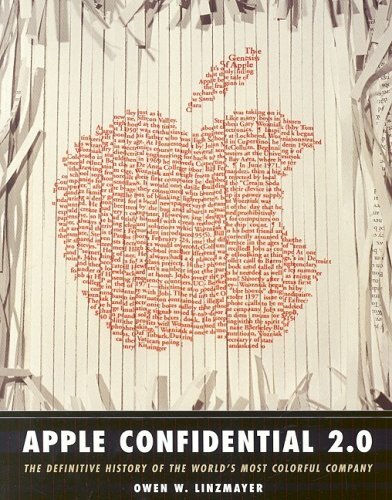 Owen Linzmayer's Apple Confidential is subtitled TheReal Story of Apple Computer, Inc., and while nobody will everknow the complete, "real" story about Apple, Linzmayer's is probablyas close as they come. Having covered Apple news since 1980, he offersextensive insider details about Steve Jobs, Steve Wozniak, JohnSculley, Gilbert Amelio, Bill Gates, and other major players whoselives were (and are) intertwined with Apple's history. And along theway, we also learn about lesser-known figures whose stories haveremained hidden in the Apple myth: Ronald Gerald Wayne, for example,who was actually a partner with Wozniak and Jobs in the originalincarnation of the company, but who sold his share when he realized hewould be financially vulnerable if it should fail. I originally bought this book when I started a research report at school on Apple Inc. The book seemed like the encyclopedia of Apple and I purchased it as a research tool. When I flipped through the book after i received it, I noticed a couple things.Firstly, the book wasn't just a wall of text, there were many pictures and quotes, which captured interesting moments in Apple's history. Also, there were many useful charts for Apple's financial information and interesting timelines for each product or important employee. The book was a great read, and it kept me interested the whole time. I also found great facts and based much of my research on this book. But don't get me wrong, this book isn't like a boring reference book. It is full of exciting narratives, descriptions of unique Apple products, and is written VERY well by Owen Linzmayer. On top of this, I was lacking some first person experiences and knowledge on Apple, and needed to find an interviewee. To add to the superbness of the book, it included the contact information of the author, Owen Linzmayer. I emailed him asking if we could talk, and received a reply within the next day. From there, we were able to set a time to talk on the phone, and we ended up talking for about 30 minutes. He was easy to talk to, had many interesting stories to tell, and really knew what he was talking about. Overall, the interview helped me complete my research project, and I also learned a lot from it. I STRONLY RECCOMEND THAT YOU BUY THIS BOOK! This is a wonderful history of Apple, Steve "I am God on Earth" Jobs, and Steve "the Woz" Wozniak. The author is no fanboy but also has no axe to grind. He is fair, honest, and objective. The book starts at the beginning of Apple and concludes in the mid-2000s. Along the way you read about the ups and downs of Apple and its key employees. The book has lots of excellent photos and hundreds of little-known anecdotes. Highly recommended. Very complete and detailed.Actually it's great for a reference piece, but it told me WAY more than I wanted to know. This book is really very exhaustive of the twists and turns in Apple's long path of innovations and of coursefailures. Very well-written with juicy side notes to the main text, and it doesn't follow a strict chronological order which makes it more interesting. Maybe one more chapter should be added in the future to tell about the transition to Intel. This book delivers exactly what its title promises: astraightforward and comprehensive account of the electronic digitalcomputer's first five decades. Starting with the historic ENIAC of1945, Ceruzzi moves nimbly through one epochal generation of computingtechnology after another: the gargantuan, vacuum-tube-filledmainframes of the early '50s; the sleeker, transistorizedminicomputers of the '60s; the personal computers conjured up byhobbyists in the '70s; and the computer networks that have come tospan offices and the globe in the last 10 years. I'm a Brazilian and my english is not perfect, sorry. Anyway the book is like the description sad "Like new". I was from a Library so it have some techinical stikers outsite but this don't mess with the reading. It is much better than i expected. I read this book first from the library and am now purchasing it! Used it as reference for a paper I wrote (as a doctoral student in education), looking for high-tech related epiphenomena that might have influenced young people's career selections in past decades. This book provided a rich and textured view of computing history, with lots of details. Having lived through much of it (I used a slide rule in college & I worked at Xerox during those STAR days, later Tandem), reading it from a historical point of view was wonderful and fun; source for much memory dredging and discussions with my husband (an engineer too). I learned many new tidbits and nuances that I missed along the way of living it. 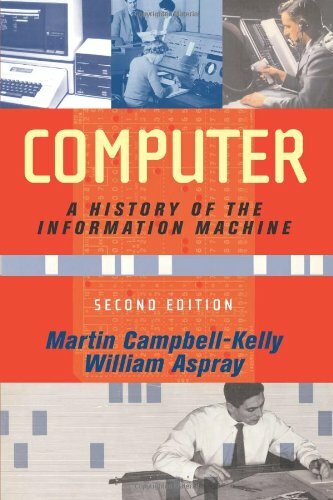 If you are interested in a compact history of computing with facts, not too dry, scholarly but enjoyable, this is a good one. A keeper for me. Extremely fun book for the geeks, of which I am one. It reads like a novel, even though it's chock full of technical details. I especially like the author's effort to keep the book up to date. Expect a new edition soon featuring multi-core processors, the iPhone and iPod, and the Vista debacle. I can't believe a book titled "A History of Modern Computing" does not mention the impact home computers such as the Sinclair, the various Ataris, the VIC-20, the C64 and others had in making computing accessible for the masses, or the impact that cheap home computers had in shaping a whole generation of programmers and engineers. The book totally ignores the revolutionary Amiga, LOGO language, and videogames which have been instrumental in driving technical improvements and driving computer market penetration. In short, this "history of modern computing" ignores some of the most important aspects of the computer revolution of the 80's and 90's which could have been well covered in a chapter or two. This review is of the 1st edition, published in 1998. 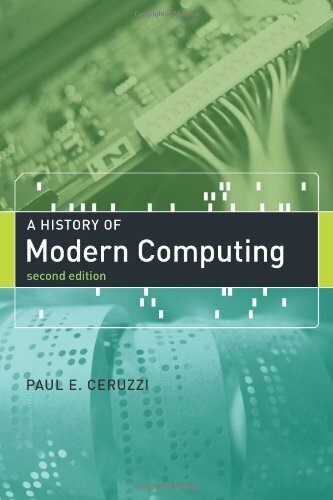 Ceruzzi's A History of Modern Computing is an academic book, not a popularization of the history of computers. It is not a chatty book. There are no personalities in it. There is no journalistic reporting of conversations, nor of the progression of various difficulties and triumphs during the design and development of the computer systems discussed. This is not a comprehensive history of computers. 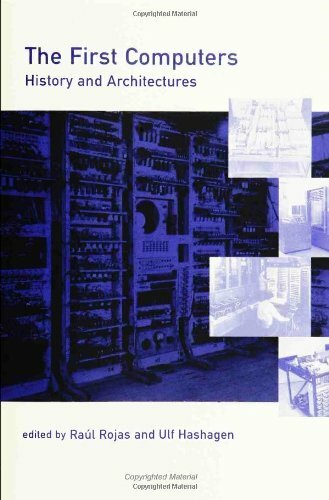 ENIAC is mentioned, but this book begins its history, post-WWII, with UNIVAC. The focus is upon US developments. It was not written to inform computer scientists and engineers of detailed design elements of past computer systems, although design elements of both hardware and software are discussed. It is the story of the rise and fall of the mainframe and the rise of the personal desktop computer; but it does not provide a history of Apple or Microsoft or of the development of the Internet. It is more satisfying as a history than the the 1st edition of the book Computer: A History Of The Information Machine by Martin Campbell-Kelly and William Aspray (which I read after reading this book), because there is more detail. It complements their book very well and would be a good choice to read if you read that and wish for more. But this is still within the realm of what I consider first looks. This book resulted from papers presented at the International Conference on the History of Computing in Paderborn, Germany, in August 1998. It is notable for containing first-hand or nearly first-hand accounts of developments in America, England and Germany in the 1930s, 40s and 50s. The first part of the book, unfortunately, could put the reader to sleep and result in even a serious student of the subject never reaching "the good stuff." But once I hit Harry Huskey's paper on page 69, I realized that I was seeing first hand reports with details not previously published. Details on both the Eniac and the IAS computer at Princeton filled a lot of gaps in my knowledge. The parts of the book dealing with both British and German development shed a lot of light on important developments that are frequently omitted or only superficially covered in many works. If you have some knowledge of vacuum tube electronics and early computer technology, most of the book will be easily understood.In other words, it's good for old-timers. This is a series of papers stitched into a book, and without exception they are all well written, provide lots of technical detail, and are a joy to read. I highly recommend this book if you have any interest in the history of computing machinery and electronics. The only thing lacking is a story line or a plot - many books will detail the genius of a specific person or technical team (e.g. Seymour Cray, or the Macintosh developers), then take you through each phase of the development and success (or failure) of one or more products. This book, by contrast, is focused on the technical nitty-gritty, and the personalities and financial success/failure of the business is generally ignored. This book is very technical, which is exactly what I was looking for.It is filled with architectual diagrams, opcodes, and even code fragments from the earliest computers.Some of these machines even predate World War 2. The book opens with discussions on the taxonomy of these primordial computers.This section is the weakest part of the book.External references are mentioned, when they should have been described in detail.Another typical problem is on page 8, where a family tree is printed in a micro-fiche font. The remainder of the book is divided into sections for the US, UK, Germany, and Japan.This is the bulk of the text, and the reason why you would want to buy it.I must stress again, that the articles are extremely technical.They will be hard to follow without a background in digital design, some knowledge of system architecture, and maybe some assembly.But for those who can appreciate it, it is absolutely fascinating. Designing a mission for a flight to the Moon requires balancing the demands of a wide array of spacecraft systems, with the details of tending each component generating complex and often contradictory requirements. More than any other system in the Apollo spacecraft, the Apollo Guidance Computer drove the capabilities of the lunar missions. In the 1960's, most computers filled an entire room yet the spacecraft's computer was required to be compact and require little power. When compared to modern systems, the AGC's design limitations and lack of speed presented formidable challenges. Yet, hardware and software engineers overcame these difficulties, and their creation was able to guide a new and complex spacecraft and its precious human cargo away from the safety of Earth and towards a new world. Although people today find it difficult to accept that it was possible to control a spacecraft using such a 'primitive' computer, it nevertheless had capabilities that are advanced even by today's standards. A Vital Historical Computer Architecture Study--"Wow"
The embedded computer that traveled with the Apollo astronauts was not only an important component of the navigation and control system for the historic lunar landings; it was an infinitely important landmark in the development of the microcomputer and embedded real-time systems which today inhabit our cars, homes and entertainment equipment.It was also the first important step in developing inexpensive real-time systems for control and ubiquitous computing.While other works such as Mindel's "Digital Apollo" and Eldon C. Hall's "Journey To The Moon" have described this system as a component of the overall Apollo system and in a first-person account of the development process, only this important textbook gives the modern student of computer architecture and embedded real-time systems the technical detail to understand how this first microcomputer system worked in practice.Exquisite detail and explanation is given of the Hardware and Logical Design Architecture of this systems, as well as the principles and practice of the historic Forth-like language interpreter and Real-Time Executive Software. This exceedingly valuable work will give present day Computer Science students the background to understand how the dramatic breakthroughs in Logical Design, Computer Architecture, Computer Language Interpreters and Real-Time Executive Software was invented, and how it worked in practice. 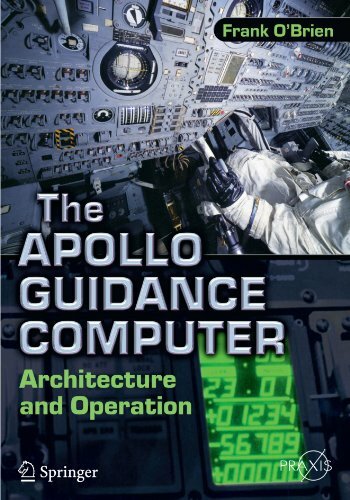 Detailed Scenarios are also given of how this software and hardware architecture functioned in the astronauts computation of Navigation and Guidance.Enough detail and careful instruction is given in the functioning of this computer for classroom instruction in computer science or for the advanced hobbyist to use the software simulators of the Apollo Guidance Computer in duplicating the steps the Lunar Astronauts performed in guiding the Command Module and Lunar Lander.This excellent reference will form a model for teaching and learning historical Computer Architectures and Software so that future Computer Scientists can understand and learn the original ideas that today guide their field. The American ENIAC is customarily regarded as having been the starting point of electronic computation. 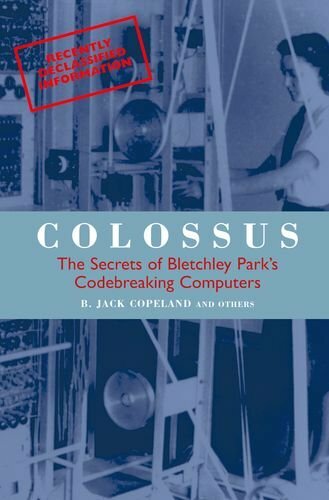 This book rewrites the history of computer science, arguing that in reality Colossus--the giant computer built by the British secret service during World War II--predates ENIAC by two years. Colossus was built during the Second World War at the Government Code and Cypher School at Bletchley Park. Until very recently, much about the Colossus machine was shrouded in secrecy, largely because the code-breaking algorithms that were employed during World War II remained in use by the British security services until a short time ago. In addition, the United States has recently declassified a considerable volume of wartime documents relating to Colossus. Jack Copeland has brought together memoirs of veterans of Bletchley Park--the top-secret headquarters of Britain's secret service--and others who draw on the wealth of declassified information to illuminate the crucial role Colossus played during World War II. Included here are pieces by the former WRENS who actually worked the machine, the scientist who pioneered the use of vacuum tubes in data processing, and leading authorities on code-breaking and computer science. For those interested in the history of computing, or for those intersted in the history of "code breaking" at Bletchley Park, this book is a must. The Colossus was a proto-computer in that it was not a stored program machine, or easily programmable, but it solved so many problems, such as parallel processing, use of multiple valves (tubes), with high reliability, etc. that plagued other early computers.It enabled the reading of the teletypewriter encryptions produced by a twelve wheel encyptor, far more difficult than the Enigma encodings.The book leaves out no technical detail recoovered from Winston Churchill's ill-advided destruction of the ten Colossi after the war.A reconstruction 60 years later showed that the Colossus could be reconnected to do multiplication. Because of tight secrecy of many years, the remarkablearchitecture of Colossus was not availble to inspire other inventors of early computers. What if I told you that a secret project conducted more than 60 years ago held the true origins of the modern computing era? And that the country behind this project did such a good job erasing its tracks that it did itself a disservice? And that many of the things invented during this project would only be realized with modern-day PCs? This book is a wonderful collection of first-person accounts and you get to see the enormity of the task and exactly how critical this effort was towards winning the war. If you got excited about crypto stuff in the DaVinci Code then you will have lots of hours of fun trying to work through the examples the authors provide. This provides a good general history of the breaking of the German Lorenz and (to a lesser extent) Siemens cipher teletypes, focusing mostly on the British methods using the Heath Robinson and Colossus tabulating machines driven by punched tapes.The breaking of these differed from the breaking of the Enigma machines in that the methods were probabilistic and statistical rather than the logical operations of the Turing and Welchman electromechanical Bombes, so that the mathematics (relegated to appendices) are very different.The appendices include the Swedish mathematician Arne Burling's breaking of the Siemens machine on leased cables from Norway through Sweden. For understanding the mathematics, I prefer Harvey Cragon's "From Fish to Colossus" or Frank Carter's pamphlets sold by Bletchley Park, which seem to be currently unavailable, and Cragon includes descriptions (and schematics) of much of the circuitry of the Colossi.It is interesting to read in Copeland's book descriptions by many of those who actually made the breakthroughs. This book is a copendium of histories from the people who were at Bletchley Park who actually did the code breaking. I found their stories facinating. There is also some moderately technical information that describes how the several code breaking machines worked. This is the first description that I have seen of the effort to break the codes associated with the German teletytpe system. I found the book facinating. The story of the Bletchley Park code breaking efforts towards the German Enigma machine are well known. (If you are not familar the best book on the Enigma is:The German Enigma Cipher Machine: Beginnings, Success, and Ultimate Failure - ISBN 1-58053-996-3) Down through the years there have been only casual references to the Colossus machine that was used on the more sophisticated German coding machines. At last enough material has been declassified to enable the story to be told. Dr. Copeland, Director of the Turing Archive for the History of Computingand author of some very good books on Alan Turing, has collected an amazing amount of information on Colossus. This has come from various sources, primarily in the form of short essays written by people who worked on or with Colossus during ther war. This is an important book covering not only a little explored aspect of World War II but also an important step in the development of electronic computers. It also talks about how Colossus was held secret for so long that the important developments which it entailed might have helped Britain retain greater prosperity after the war. Of all of the revolutionary technological innovations of the 20th century, none is as widely recognized, as celebrated, or as profoundly influential as the invention of the electronic digital computer. But like all great social and technological developments, the computer revolution of the twentieth century didn't just happen. It had to be made to happen, and made to happen by people, not impersonal processes. In The Computer Boys Take Over, Nathan Ensmenger describes the emergence of a new breed of technical specialists -- computer programmers, systems analysts, and data processing managers -- who built their careers around the powerful new technology of electronic computing. It was these largely anonymous specialists who built the systems that transformed the novel technology of electronic computing from a scientific curiosity into the most powerful and ubiquitous technology of the modern era. Known collectively as "whiz kids," "hackers," and "gurus," they were alternatively admired for their technical prowess and despised for their eccentric mannerisms and the disruptive potential of the technologies they developed. As the systems that they built and maintained became central to the operations of our modern computerized society, they became the focus of a series of critiques of the social and organizational impact computerization. 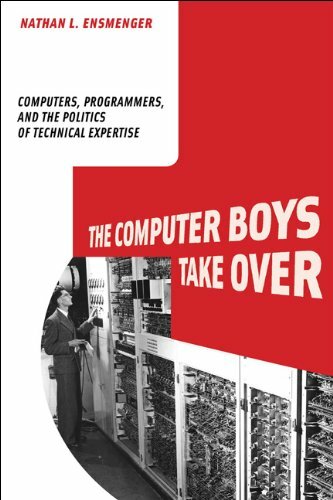 To many of their contemporaries, it seemed the "computer boys" were taking over, not just in the corporate setting, but also in government, politics, and society in general. Ensmenger follows the rise of the computer boys as they struggled to establish a role for themselves within traditional organizational, professional, and academic hierarchies. Was computer programming a "black art," a legitimate science, or an industrial discipline? Were computer specialists more like scientists, engineers, managers, or clerical workers? What was the appropriate relationship between technical expertise and other, more traditional forms of social, political, and organizational power? In telling the story of these influential but unrecognized computer revolutionaries, Ensmenger provides a nuanced social history of the computerization of modern society that highlights the many ways in which even the most complex technologies are nevertheless fundamentally human constructions. This useful and lively text provides a comprehensive introduction to the key topics in the history of computing, in an easy-to-follow and concise manner. It covers the significant areas and events in the field - from the ancient Egyptians through to the present day - and both gives the reader a flavour of the history and stimulates further study in the subject. • Ideal for undergraduate courses, it offers many pedagogical features such as chapter-opening key topics, chapter introductions, exercises, chapter summaries, glossary, etc. Focusing on the fundamental areas in the computing field, this clearly written and broad-ranging text will capture the attention of the reader and greatly benefit computer science students. In addition, it is suitable for self-study, and will also be of interest to the more casual reader. Dr Gerard O’Regan is a CMMI software process improvement consultant with research interests including software quality and software process improvement; mathematical approaches to software quality; and the history of computing. He has published A Practical Approach to Software Quality and Mathematical Approaches to Software Quality. The purpose of the book was to provide a broad overview of computer technology through the ages and the book did this (as mentioned in the PREFACE). I enjoyed it and it did a good job going over computing technlogy (from Egypt up to the present time). It was well written, gave a nice quick overview and was technically-sufficient to be effective but not overly complicated. However, if you want details on any topic of computing history then this is not the book for you. First, thank you for your your reviews. All review comments are valuable and will be considered in any future edition of this book. A key goal of this book is to provide a simple concise history of some of the important topics in the history of computing. The intention is to have a broad scope and to provide an account that general readers as well as undergraduates will understand. Obviously, with a broad scope such as this there is a limit to the depth that can be provided as otherwise the book would be huge (several volumes). Instead, the book is concise and less than 260 pages. The scope of the book is broader than many other books on the history of computing that focus mainly on hardware development or on the commercial history. This book includes topics on early mathematics, computing pioneers such as Boole, Babbage, Von Neumann, Turing and Shannon, as well as a concise history of programming languages. The important topics of Software Engineering and Formal Methods as well as progress in the Artificial Intelligence field are considered, and while the account on formal methods is probably the most difficult in the book it is one of the better accounts of this field. The evolution of the internet and world wide web is then considered as well as discussions on famous technology companies such as IBM, Microsoft and Motorola. The book also includes many photographs of people and machines as well as text book features such as review questions, chapter summaries, and so on. The aim at all times is to present material as simply as possible. ACM Computing Reviews (an important reviewer of Computer Science books and articles) have reviewed this book and have spoken very highly of it. For example: "O'Regan's book certainly merits careful consideration as an undergraduate text as it has much to offer. It is also suitable for general reading". It also states "O'Regan's work manages to be brief and broad in scope -- a difficult task. This makes the book a valuable read and a good textbook". I have the greatest of respect for ACM Computing reviews and suggest that its views should also be considered before potential readers make a final decision on whether to read this book or not. and search for "A Brief History of Computing"
I was eager to read this book, but when I received it I was extremly disappointed by its content. It speaks a little bit about everything (just have a look at the huge list of topics), but nothing in depth and most importantly nothing that could be understood per see. Moreover, what is really missing is some nice story puting everything together. Currently, the book just look like a series of rather unrelated texts with no common vision. Some chapters just look like if wikipedia pieces of text were put together to form a chapter. Some information are not relevant, put seems to be there just to fit some space in the chapter. There are a lot of photos of people that did something in computer science, but frankly I don't think that these portraits constitute the better way to explain the wonderful story of computing. There are plently of nice books about this history, this one is the most disappointing. I would not suggest using it as a text book. May be I was expecting too much. This is a book that could not be used as a text in the history of computing until at least the late sophomore level. Most of the topics used as the base points in the historical examination are sufficiently sophisticated that some significant computing background is necessary to understand them. I would not consider adopting this book as either the primary text in a course in the history of computing or as an ancillary text in any course involving the history of computing. While some historical context is presented, there is not enough to justify calling it the "history of computing." A true history must always present a significant amount of historical context. "A fascinating compendium of information about writing systems–both for words and numbers." This is simply a must read for anyone who is interested in numerical literacy! Indispensable and should be required curriculum for anyone who teaches who wishes to think of themselves as versed in the arts and letters. 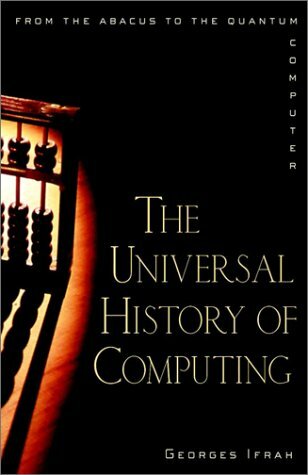 If you have been looking for a more academic approach to the history of computing then this is the book for you. The book is divided into three parts. Part One contains a very comprehensive taxonomy/chronology showing the evolution of human number systems. Part Two is where you will find the core "History of Computing" bit: tables, logarithms, analogue/digital, mechanical calculators, automatic calculation, electronic machines etc. It also includes an interleaved, and detailed, explanation of how computing has evolved from basic number crunching into abstract information processing. Part Three reads like a long philosophical conclusion and contains some excellent material on ethics and artificial intelligence. "The journey begins."... Steve Jobs used the Zen proverb, "the journey is the reward," to motivate engineers creating the original Macintosh. Not long after, the phrase was modified for this shirt given to all new employees during orientation. The idea behind this book is great, to use T-shirts to essay the history of Apple Computer, and perhaps of personal computing generally. I think it was Jean-Louis Gassée who first quipped that all product development at apple began with "step one: order the t-shirt". Gordon Thygeson photographed an astonishing number of shirts covering important products, unimportant ones, forgotten ones, random events (the announcements of the 1991 budget! ), teams, and so forth. Unfortunately, there is no narrative here, and the t-shirts themselves are typically not very interesting. The arrangement is not chronological, so we don't walk through the history of Apple. Nor are they arranged to make any kind of statement about the causes of Apple's vast initial success then near extinction at the hands of Microsoft (the book was published before the company's current renaissance). Instead, we have "shirts about software," then "shirts about desktop computers," then "shirts about peripherals." There is no insight or drama or anything that would make this of interest beyond a cursory flipping-through. And unfortunately, most of the shirts are amateurish and ugly, so there isn't opportunity to admire Apple's evolving design sensibilities. If you have the choice, get Appledesign: The Work of the Apple Industrial Design Group, which was released before this book but which gives a much better window into the ways that Apple differs from other companies. Great fun for any Apple fan! I liked this book. It is factual and should be read by anyone who wants a good account of the court case. The book is divided into three sections. If you only want to know about the court case, read the first section. If you want a somewhat relentless tome of continual struggles by the author thereafter to uphold the decision of that case (and, it feels for some reason, to continually discredit Mauchly), read the next two sections. While the material is factual, and the arguments sound, it does feel that the author has a personal involvement and her personal opinion overshadows the book a bit. On the one hand, it seems that she is fighting for what she (and the judge) believes to be the truth and she is a champion for truth and proper recognition. But I wonder why she bothers, given the overwhelming tendencies against her. And I wonder why she is alone in this. She cites very little evidence of others who agree with her cause or who are willing to take up the fight as she does. Is she really alone in this? Why? Where was Atanasoff to help her during the critical years? I am left wondering if the author is somehow motivated by the overwhelming public ignorance of what was decided in court and feels a real desire to support the underdog (Atanasoff who, it seems, was unable or uninterested to fight for this right himself). Or if the author is simply anti-Mauchly. One way or the other, I wonder if she is a bit blinded by her bias. That said, she writes well and her material is certainly interesting. A recommended read. Read it and form your own conclusion about "Who invented the computer?" 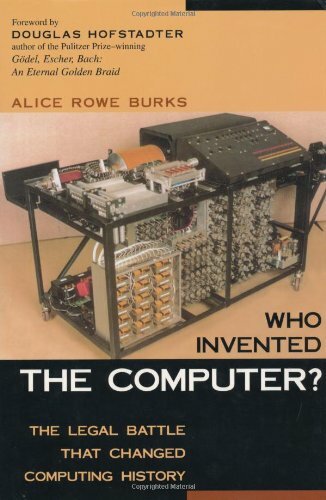 Surprisingly, this book is not only an authoritative summary of the invention of the Atanasoff-Berry Computer and the ENIAC, but is extremely engaging at the same time. Despite the title's assumed warning of a dry legal story, Mrs. Burks' work is a very detailed and indeed very human summary of early computer history and the legal battle that resulted. This book should be required reading for anyone serious about learning the history of digital computers. This book renders a wonderful service by telling the story of an inspired mathematical physicist and technologist, John Atanasoff, who made splendid contributions to technological advances in computing.With the advent of World War II, Atanasoff was called away from teaching duties at Iowa State University in order to serve the military research needs of his nation, thus his pioneering binary electronic computer did not become contemporaneously well-known. Fortunately for the subsequent advance of the computer age, it was studied by John Mauchly, who later incorporated some of Atanasoff's clever ideas into a computer, the ENIAC, built during 1944/45 at the University of Pennsylvania, owing to funding from the Army's Ballistics Research Laboratory (BRL).The ENIAC became highly publicized in early 1946 and thereby served to inspire many subsequent advances in the evolution of computing technologies.In popular understanding, those best known to be associated with the ENIAC, Mauchly and Preston Eckert, became celebrated, the genius of Atanasoff unknown. This book is based on a careful review of abundant evidence that was assembled for two patent law disputes.The author is profoundly versed in the technical issues.Her unswerving honesty and dedication to sifting facts from fables yields a definitive account of Atanasoff's legacies. (a) Author could not understand the difference between a computer and components. A computer is an integrated entity ofcomponets arranged properly by the architect. A component, regardless of its importance, is just a part. A component by itself can not be a computer. (b) Atanasoff's ABC was NOT a computer in any sense. It's just like a PCS (Puch Card System). If you say ABC is a computer, you have to say the IBM's old PCS is also a computer. (c)If this book discusses the "Who invent a computer",Author should not ignore the detailes of Neumann's "1st Draft" which you will find nothing about the stroed program concept except very strange one sentence. This shows that Neumann's level ofunderstanding of "stored program", then, was very poor. If he understands the importance as we talk now, he will assign more space to explane the meaning of stored program. (d)Author also should not ignore "the Moore School summer seminar" held in July-August,1946 where EDVAC's circuit diagrams,then, were shown. The diagrams shows the readyness of the stored program computer at Moore School. It's much more important than "the preliminary discussion" by Burks, Goldstine and Neumann. Also Author have to discuss Babbage if invention of computer is concerned. (e)Therefore author's approach of one sided narrow and heavy use of the testimonies does not lead us to a productive, fair and historical engineering judgement. Auther just looking at components that never reaches to the system. It is clear that the title of the book is not appropriate under the long range historiacl perspective. John Mauchly and Pres Eckert are the great inventors of the computer as an integrated system entity. We, human being, can proud of them regardless of some confusions in a patent testimony. Also perhaps we recognize John Atanasoff as the great inventor of the regenerative component. Considering author's previous book titled "The first electronic computer", it sound like broken audio record which keeps looping and making meanigless noise which makes peopleconfusions. Computer role-playing games (CRPGs) are a special genre of computer games that bring the tabletop role-playing experience of games such as Dungeons & Dragons to the computer screen. This genre includes classics such as Ultima and The Bard's Tale as well as more modern games such as World of Warcraft and Guild Wars. This book is so thorough and detailed regarding the major computer role-playing games that have enabled users to burn billions of hours of computer time that at times the reading of it is tedious. However, that is not a criticism, as it is meant to be encyclopedic in nature and textual descriptions of games that you are unfamiliar with are hard to make exciting. Screen shots of instances in the flow of a game can in no way express the energy and excitement that it can generate in a player. Nevertheless, as I read through this book my energy and excitement rose when I began reading about a game that I was familiar with. Fond memories of the challenges that I faced and the frustrations that I overcame as I was fixated on the keyboard trying to discern what my next move should be came flooding back. 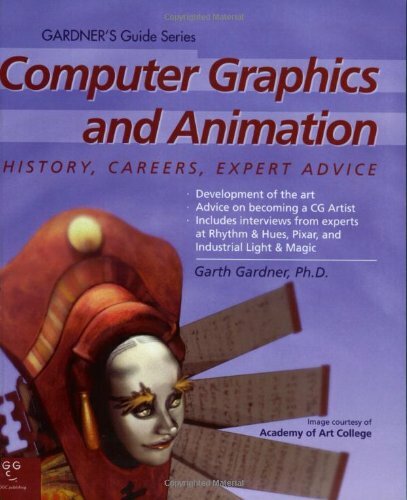 As a reference book on the history of computer games, this book has no equal. It is not easy or simple reading and the fundamental limitations of the surface of paper dictate that many features must remain undemonstrated. Yet, despite these limitations this book makes you want to go back and find cheap or freeware versions of the "golden-oldies" and play them once again. The urge is something like what an athlete experiences but in this case it is a fantasy that you can actually relive. Amazing book as good as it gets! I was a high level executive in the gaming industry for over a decade and thus have read my fair share of video game history books, this one was incredible. A literal blow by blow of this history of the CRPG genre. I cannot recommend this book enough .......a simple must read if you have any interest in the history of video games. In research for my upcoming book, Paper & Pixels, I came across a series of articles on Gamasutra about the history of computer role-playing games (CRPGs).It was the most exhaustive approach on the Internet that I'd ever seen and was valuable in framing my chapter on CRPGs. When I came across Dungeons & Desktops, I noticed some similarities and sure enough, Matt Barton wrote both. Barton's level of detail to his subject is staggering. Although other authors have touched on the development of computer role-playing games, none are as exhaustive.Grouping them by common developer and arranging them chronologically into "Ages" (i.e., Dark Age, Bronze Age, etc. ), Barton takes us through a trip down memory lane.Thanks to his careful outline of those that went before, I was overcome by a wave of nostalgia about games I'd long since forgotten.In fact, thanks to the author, I installed an updated version of Wizard's Castle on my laptop and battle with it once a day - I still can't beat the darn thing.Curse you Barton! The book is not without its flaws.There doesn't seem to be any mention of Dragonstomper, one of the earliest graphical CRPGs for the Atari 2600. There are references to different editions of Advanced Dungeons & Dragons as if there were a third edition - a nitpicky distinction I know, but gaming geeks like me care about the distinction between AD&D and 3E. And finally, Gelatinous Cubes originated in Dungeons & Dragons, not Ultima. Those minor quibbles aside, this book is a massive undertaking, and Barton tackles the twisty history of gaming with aplomb.In a hectic world of exponentially paced game development, Barton's addition to gaming lore is a sorely needed resource for game scholars. If you are reading these reviews, you are no doubt in your late twenties or above.You enjoyed games like Ultima IV, Pool of Radiance, and Baldur's Gate.If you are looking for a trip down memory lane regarding these and other titles of the same genre, then this is the book for you.Its extensive coverage is impressive, and the author's opinions are sometimes poignant and other times as humorous as some of the games being discussed. However, I gave it a three star rating because there were far too many spelling AND grammar errors to justify the $30+ price tag.From start to finish there were obvious sentence structure mistakes, awkward word choices, and many numerical and spelling typos. I got the feeling that this book could have been written and edited by anyone with a high school diploma.Although it must have taken quite a while to gather and organize the quotes, establish a timeline, and decide which screenshots to include(which are in grey scale, making their usefulness as illustrative aids questionable) necessary for the scope of this book, extensive research is not the most important part of a work like this.A compelling history book is written by presenting the data in a dynamic and hopefully innovative way, and all this author did was fill the book with a boat-load of data in chronological order.The few insightful passages were overshadowed by the excessive use of quotes taken from critical reviews within back issues of computer gaming magazines like Computer Gaming World, hinting at a writer too insecure to let his own words stand alone. This book is a sluggish read, even if, like myself, you've played most of the games contained within. How far have we gone?? 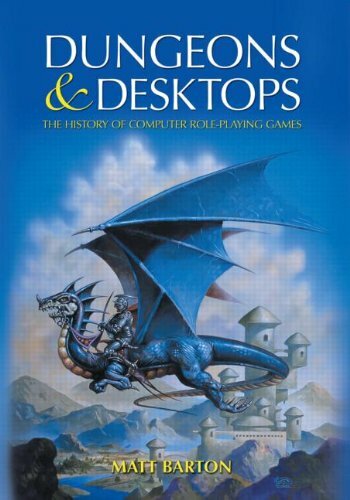 While the subtitle of this book reflects on history of computer role playing games, the book read more closer to how computer role playing games evolved from its simplistic concept like Ultima I to what it is now, World of Warcraft and Oblivion. Having played nearly 70% of the games in this book, I can say that the author pretty much hit the target on all of them. He apparently didn't played Darklands too much since after the patch from Microprose was injected, this game proves to be a total winner. I also didn't share the author's vast approval of the first SSI's Pool of Radiance which I thought to be chunky, buggy and clumsy in user interface. The games that followed proves to be quite excellent but the first one, I never replayed again. But outside of that, there is little I can complaint about the book or the author's point of views on many of these games. After reading this book, most readers will be amazed how computer role playing games have evolved but interestingly, the genre evolved along with the technology that made it possible. One thing the author should have pointed out was the importance of clue books in many of these vast and complex role playing games. Having one or not having one depends on the players but this elements can increase the enjoyment of the game or to some, destroy it. This is primarily a technical history of IBM's early computers. It begins with the successors to Herman Hollerith's tabulating machine -- punched card accounting machines -- and ends with the announcement of the IBM/360 series. But in addition to a relatively detailed description of some of the engineering behind IBM's early computers, it also provides a view of how that engineering was affected by the politics of a large corporation and the needs of its customers. 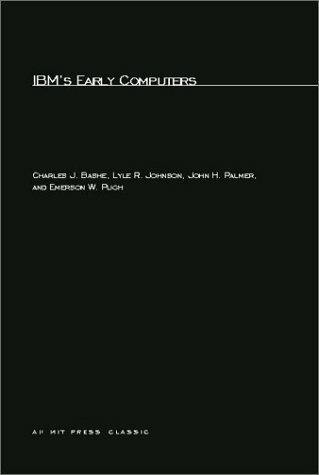 The authors are all long-time staff of IBM and participants in this early history. To their credit (and IBM's), they show both the muddle and the genius involved: how IBM wound up both at the head of the pack and with a set of incompatible products by 1960. The technologies involved are all 50 years or more out of date. However, if you plan to spend time working as an engineer or manager in a technical firm, then reading this book carefully, along with the works of Frederick Brooks, Samuel Florman, Robert Lucky, and Henry Petroski, might offer as good an education as many MBA programs.